Fired Donald Trump campaign manager Corey Lewandowski refused to bash the presumptive GOP nominee Monday during a tense interview with CNN’s Dana Bash. 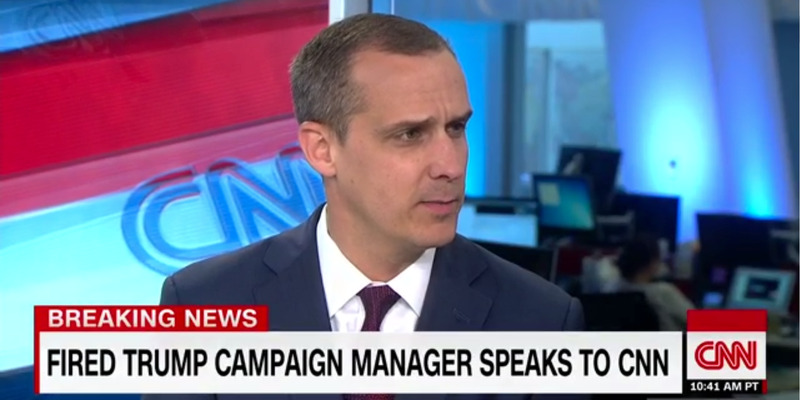 Calling Trump’s campaign “historic” and saying that “things change as a campaign evolves,” Bash asked Lewandowski if he thought it was appropriate for the Manhattan billionaire to fire him. Lewandowski danced around the question, and later added that he’d do “everything he can” to help Trump get elected. “I wouldn’t change one second,” he continued. Bash asked if the rumours of Lewandowski being escorted out of the building by security were true. The ex-campaign manager didn’t deny he was escorted out, but painted a rosier picture of his early-morning departure from Trump Tower. 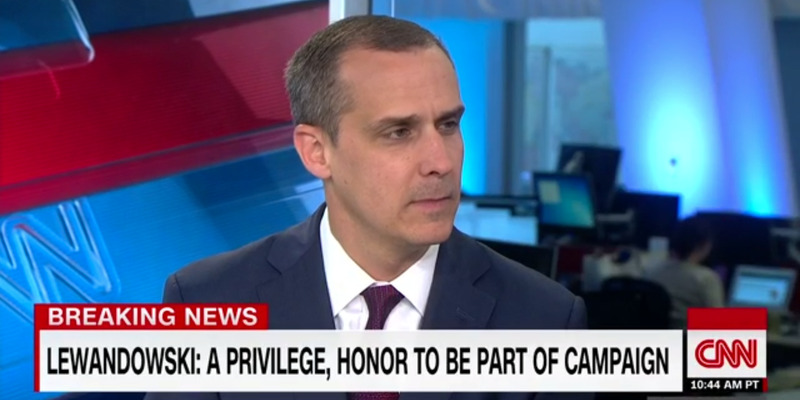 Lewandowski praised the “protocols in place” for removing an employee from the office, and added that the employees working for Trump have become close friends with him during his time working for the campaign. He then said “it wasn’t security, it was a friend from the office,” who escorted him out. “Leadership starts at the top … when I see someone who isn’t working as hard … that bothers me,” he said. Reports circulated Monday that the driving force behind Lewandowski’s departure was Trump’s daughter, Ivanka, and her husband, Jared Kushner. Bash asked him if that was true and if he had a good relationship with Trump’s family. Multiple reports had sources within the campaign alleging that Lewandowski was attempting to plant negative stories about Kushner in the press. “I think Ivanka is somebody who understands her father and is a fantastic surrogate for the campaign,” he continued, adding that “I’m so thankful” for being a part of the campaign. 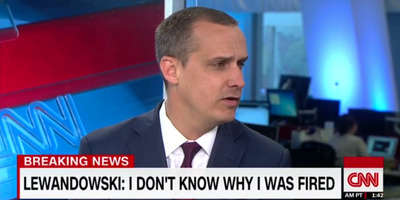 That’s when a clearly frustrated Bash tried to interject with the obvious — that Lewandowski was masking his true feelings. “Somebody tuning in to watch this might be thinking that they’re on another planet because you’re making everything seem so great,” she said. Lewandowski, staying true to form, said “the campaign is moving in the right direction” after his firing earlier in the day. He said he had no regrets about his stint as campaign manager. Lewandowski’s ouster, first reported by The New York Times, came as Trump took a dive in the polls ahead of the general election. Reports of turmoil within the campaign started surfacing after Trump brought on Paul Manafort and later promoted him to chairman and chief strategist.